The beautiful Stradivari Cello that had been played by Bernard Greenhouse, a founding member of the Beaux Arts Trio, for the past fifty years was sold for a record sum last week. The new owner, only identified as a patron of Montreal’s art community, has lent the instrument to 18-year-old Stéphane Tétreault. 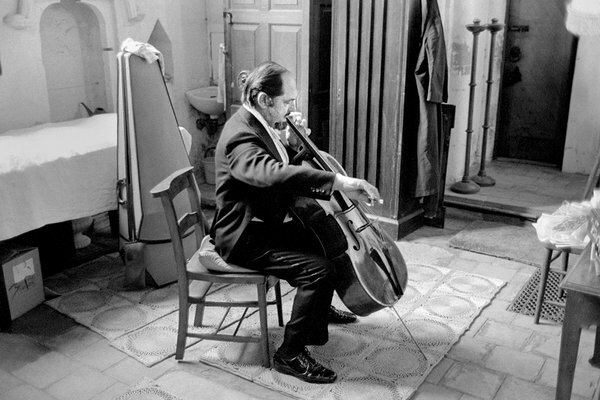 Mr. Reuning delivered the cello to the buyer on Friday, and Mr. Tétreault tried it out at her home. The instrument remains with her while the loan arrangements are worked out. Mr. Tétreault has been playing a 250-year-old British instrument by an unknown maker, also on loan to him. Rita Gorr died on Sunday in Spain, where she lived. She made her debut in 1949 in Wagner’s Die Walküre. Early performances in France and Germany sealed her reputation and, following a win at a singing competition in Lausanne, she was engaged by the Opéra de Paris. Remaining with the company until 1957, Gorr returned to Strasbourg and sang with that company for 15 years. She appeared at many of the world’s greatest opera houses making her debut at Bayreuth in 1958, Covent Garden (1959), La Scala (1960) and the Met in 1962. Ludovic Bource (The Artist), Alberto Iglesias (Tinker Taylor Soldier Spy), Howard Shore (Hugo) and John Williams (The Adventures of Tintin and War Horse). Williams’ two nominations make him the most nominated composer in the Academy’s history. Williams, who will turn 80 on February 8, received his 46th and 47th nominations for two Steven Spielberg films released in 2011: War Horse and The Adventures of Tintin. Newman’s record of 45 had stood for more than 40 years. Williams has five Academy Awards to date, three of them for Spielberg films. Williams is now the second most-nominated individual in the history of the Oscars, behind only Walt Disney with 59. Neil Gittleman, conductor of the Dayton Philharmonic Orchestra, stopped a performance and asked that a crying child be removed from the venue. Gittleman said he’s had to stop concerts due to cell phones in the past, but this was the first time a child had caused enough commotion to require him to stop and begin a piece again. At first, Gittleman says, he hoped everything might be alright. But when the child became a distraction, he decided it was time to speak. The Miraculous Mandarin, Bartok’s pantomime ballet, was banned in Germany after its first performance. This hasn’t kept the TSO from bringing it to Toronto. The TSO and the young American conductor James Gaffigan took on the challenge this week, and rewarded a somewhat sparse audience on Thursday with more thrills than a ride through a house of horrors – which is what Menyhert Lengyel’s libretto more or less describes. No major composer has chosen a more sordid tale for a ballet.